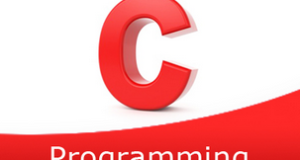 C program to trim both leading and trailing whitespace characters from a given string – In this article, we will brief in on the several ways to trim both leading and trailing whitespace characters from a given string in C programming. As you can see with this example, firstly, we need to enter the respective string. Hence, the quest is to remove the leading and trailing white spaces. Read the user entered string and store in the variable ‘s’ using gets(s) function. 2) Print the string before trimming leading and trailing white spaces. Using 1st for loop increase the index value of the string until it reaches the first nonwhite-space character of the string. So the value of i at the last iteration indicates the index of the first non white-space character of the string. Using 2nd for loop arrange the characters after removing leading whitespaces, from the zero indexes in the string s.initialize the last element with a null character. The for loop iterates through the string until the last character of the string becomes to null with the structure for(i=0;s[i]!=’\0′;i++). If the element of the string s[i] not equal to white space and a tab then only initialize j with the value of i. Repeat this step until the last character of the string becomes to null. Here j indicates the index of the last nonwhite-space character of the string. After iterations of the for loop initialize end of the string with the null character as s[j+1]=’\0′. 4) Then print the string after removing the leading and trailing white spaces. The main() calls the trimleadingandTrailing(char *s) to remove the leading and trailing whitespaces. a) To remove leading white spaces–Using 1st for loop it increases the index of the string until it reaches the 1st non-whitespace character of the string. After removing the leading white spaces, Using 2nd for loop place the elements of the string from the zero index. b) To remove trailing whitespace–Iterate the for loop through the string until the last character of the string becomes to null. Check each element of the string, if the element of the string is not equal to white space and a tab then initialize j=i. Repeat this step until the null character. j is the index of the last nonwhite-space character of the string. Initialize the last element of the string with null as s[j+1]=’\0′. 3) Print the string after removing leading and trailing white spaces.